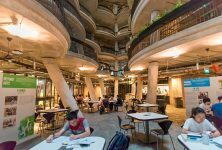 Education always played an important role in Singapore. The only resource of this country is its people and that is why both Singaporean citizens and the government see education as the key element of developing the prosperous society. 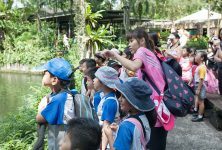 So when it comes to childhood education in Singapore, there are a variety of curriculum approaches that are used to achieve the development and education of children in a play-based, child-centered environment. Preschools in Singapore develop individualized curriculum to follow needs and interests of each child. Even when a school officially claims to be focused on one particular curriculum over another, each of them uses various early childhood approaches to respond each student in the group. In the most cases, when a school makes a decision about the curriculum approach to follow, they take a bit of this and a bit of that and put it together. 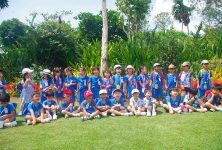 Preschools in Singapore also put a great emphasis on teachers and methods they use to foster the children’s development within the educational framework. Singaporeans believe that the success of a preschool stands on the professionalism of its teachers. Childhood education in this country is not just about the curriculum, but also about the delivery. 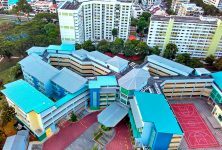 While choosing a preschool in Singapore, parents usually have to consider such factors as location, cost, and waiting lists. Nevertheless, there is a larger amount of information to understand, so searching for a preschool can be a rather daunting task. 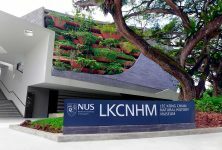 Learning centers in Singapore follow an alarmingly varied number of curricula, so choosing the most suitable one is not an easy thing to do. That is why we provide you with the information about the seven curriculum approaches available in Singaporean preschools. They are Montessori, Waldorf Steiner, the Play-Based curriculum, the Reggio Emilia approach, the High Scope Method, the Theory of Multiple Intelligences, and newer curriculum approach known as “whole brain learning”. The text below contains the information about the major preschool curricula currently being used, with some of their main features and guiding principles. The approach was created by Italian Maria Montessori in the late 1800’s. Initially, the Montessori approach was created to teach children with special needs. It was so successful that children came to a “normal” level of functioning and that is why Maria Montessori decided to try the same method to teach “normal” children and to see how they would respond to it. As you can guess, results were above all praise. That is why today Montessori Method is widely used in Singaporean preschools. Montessori Method is based on spontaneity and depends on the educational environment. The teacher is seen as a facilitator, which means that the main role of a teacher is to prevent children from developing incorrect habits while they explore some new tasks. The Reggio Emilia was created by Loris Malaguzzi and the parents of the Reggio Emilia region in Northern Italy. The method is centered on the interests of kids and their relationships with adults, other children, and the environment. The Reggio Emilia is focused on the “pedagogy of listening” that stresses the importance of listening to each other both for parents and their kids. When it comes to parents, listening to their child is considered as an effective way to understand the child’s way of thinking, allowing parents to foster the interests of their kids and to turn these interests into projects that facilitate child’s education. The approach is also based on the respect to a wide range of ways children can express themselves. “100 Languages of Children” is the central notion of this method. As all children learn through their experience, the method stresses the importance of allowing children to see, touch and fully explore their environment under the supervision and control of teachers and parents. The approach is primarily based on theories of Jean Piaget and Lev Vygotsky. Nevertheless, it sums up a variety of educational theories based on children’s development and learning through play. As it derives from its name, the play-based approach is focused on teaching children in a fun, interesting, playful manner. The classroom environment is one of the essential parts as children learn better when they are interacting with materials and their environment. A teacher is seen as the observer who stimulates children’s interest and learning. The approach was created by American developmental psychologist Howard Gardner in 1983. He believed that intelligence is multi-dimensional and his approach is based on its eight accepted areas: spatial, linguistic, logical-mathematical, body kinesthetic, musical, two interpersonal areas and naturalistic area. The Theory of Multiple Intelligences is aimed to develop each area of intelligence. The approach was created by Austrian philosopher Rudolf Steiner. His first school that was focused on children learning though sensory experiences and practical activities, was established in 1919. Waldorf Steiner schools have no television and other media as the founder of the approach believed that such modern technologies limit the development of child’s imagination and creativity. One of the key points of Waldorf Steiner’s approach is to provide children with the only one teacher over a period of few years. He believed that the role of a teacher is equal to the role of mother. So the main role of a teacher is to allow the child’s innate self-motivation to predominate. The High Scope approach was created in Michigan during the 1960’s. Its creator, David Weikart, was the Director of Special Services in the Public School District. The method is based on educational teachings of Jean Piaget, John Dewey and Lev Vygotsky. Initially, it was aimed at children from disadvantaged backgrounds. The High Scope puts a strong emphasis on children learning through interaction with their environment, including their daily routine. According to a method, a teacher and children have to create a plan for their day. Children are divided into small groups in accordance with their interests and play together. Nevertheless, they have a freedom to move from one group to another. At the end of the day, children come together and review their day. Such “plan-do-review” component is the key element of the High Scope approach. The approach was created through the research of all the earlier curricula and newer studies. It combines such approaches as play based approach and the Theory of Multiple Intelligences. According to whole brain learning approach, the process of learning is considered to be of the same importance as the result. A play is considered to be a child’s way of learning, as it includes exploration, experience, experiments, and enjoyment.